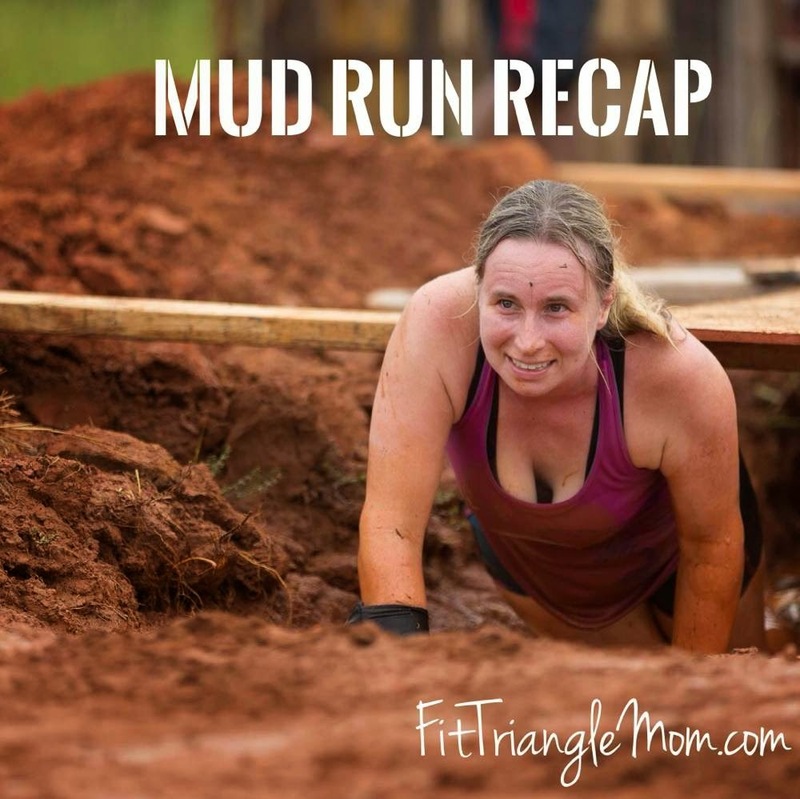 Mud runs are not created equal. They are organized by different groups and companies. 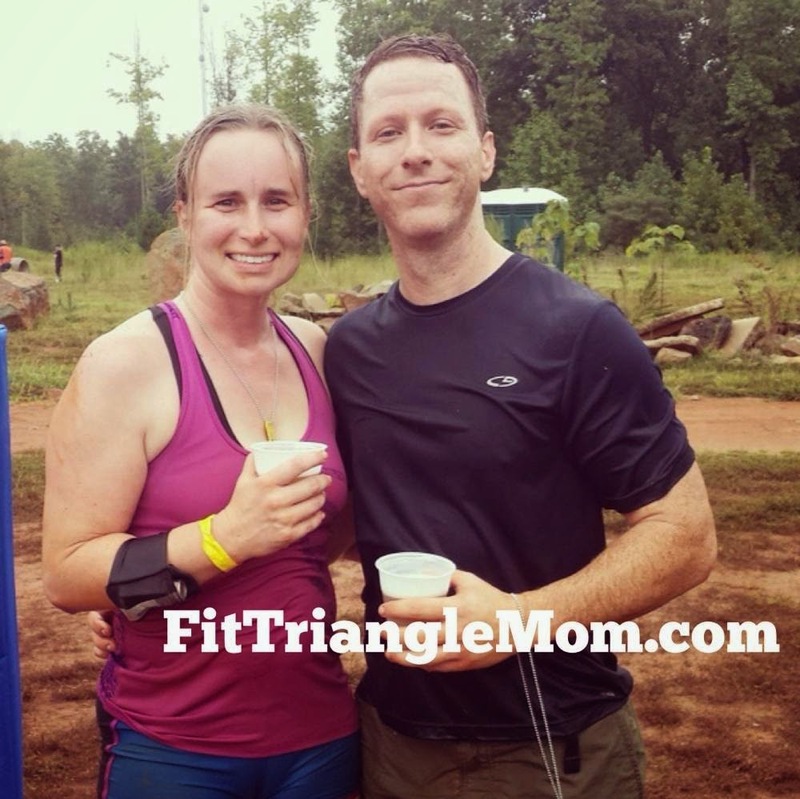 My husband, Seth and I ran the 5k Panda-Monium mud run created by Legend Race. We arrived at the race early Saturday morning, it was foggy and slightly raining. It was off the beaten path and literally behind the Lowes Home Improvement store in Pittsboro. It was a mixture of woods, brush, trail and mud. Lots and lots of muddy puddles and ponds that we walked, swam and crawled through. Between running the trails were all sorts of obstacles. 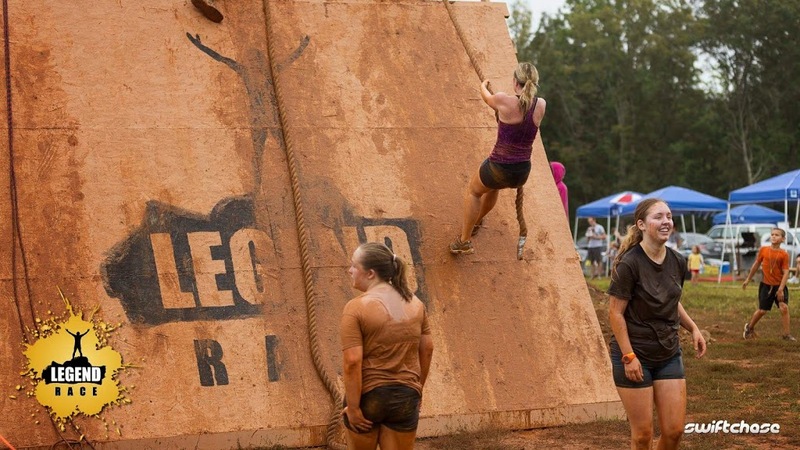 The race started with climbing over a wall, then balancing on a plank to climbing a one-sided rope ladder. 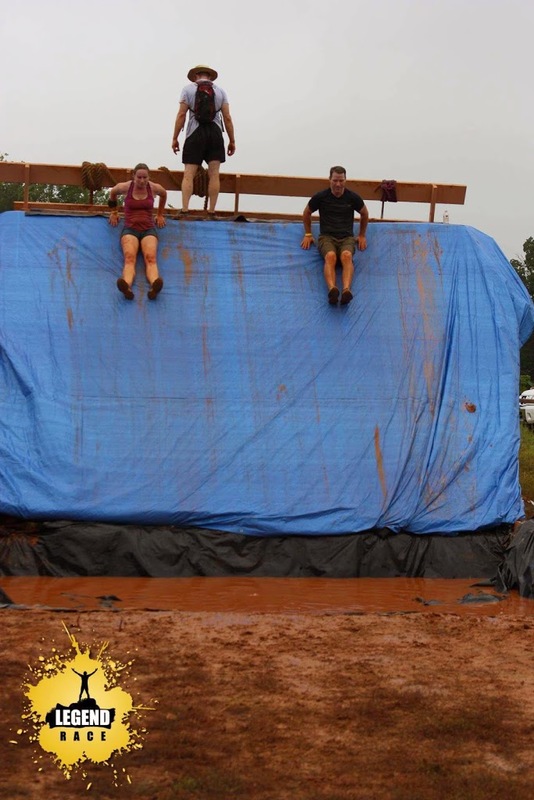 We flipped tires, carried sand bags, crawled through mud under barbed wire, shot paintball guns, climbed over rocks, did burpees, pushups and then finally climbed one last wall, and slid into a muddy pool of water. It was a mild day, but the running and obstacles made us plenty hot. The mud puddles were almost refreshing. When I talk about mud, I’m talking about the mud you find in the South- orange clay. When we crossed the finish line; we were covered in it. I found the race challenging and exhilarating. I loved having my husband by my side to lend me a helping head over a wall or a mountain of mulch. I will definitely do it again, but there are some things I will do differently. 1. Wear swimmer’s ear plugs. Unfortunately, I got an ear infection after the race. Most likely due to dirty water in my ear. 2. Take the afternoon to rest. After we got home from the race, it was back to work taking care of the kids and doing activities. I think a restful afternoon would have helped my body recoup faster. I did do some things right to prepare for the race that I will remember to do again. 1. Wear tight fitting or dry wicking clothes and not my new running shoes. 2. Interval training. I would run a mile, lift weights and do several burpees and then run a few more miles. 3. Focus on upper body weight training. About a month before the race, I was practicing chin ups, hanging in a chin up position and other arm exercises. 4. Carb Loading- Enjoying a nice spaghetti dinner the night before the race. 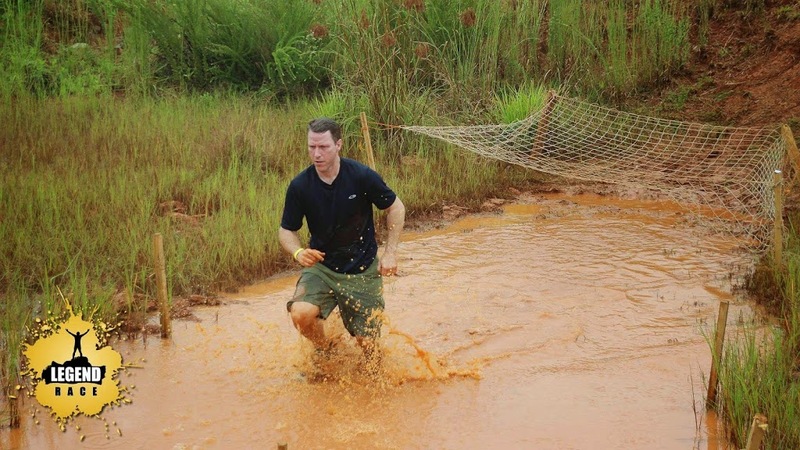 Have you participated in a mud run? What would you do differently or the same? I have and I loved it! But it wasn&#39;t quite as muddy as it should have been because there were freezing temps the night before. Ah, well. I signed up this year but refunded my ticket when they changed the location to an hour+ away. Yours looks like a great experience! Thanks, Andrea. It&#39;s such a great feeling of accomplishment. I also love a challenge. I totally understand. 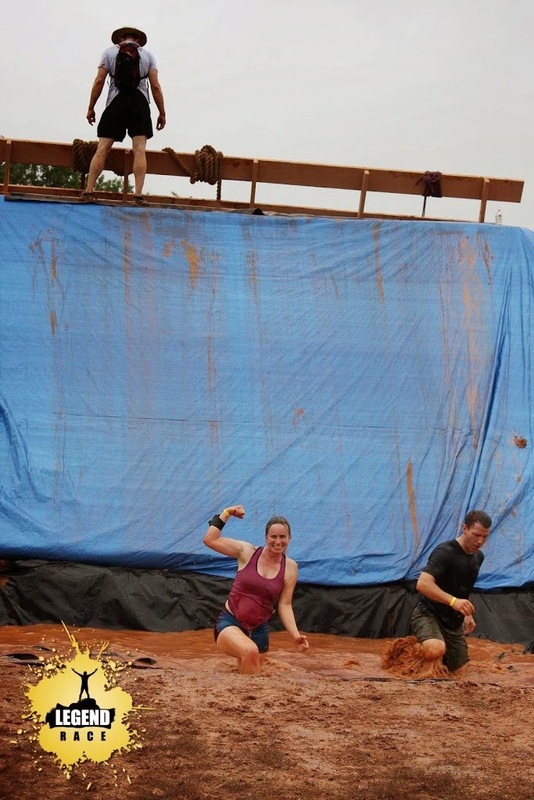 The mud part was ok, but I loved the obstacles. Oh my goodness! 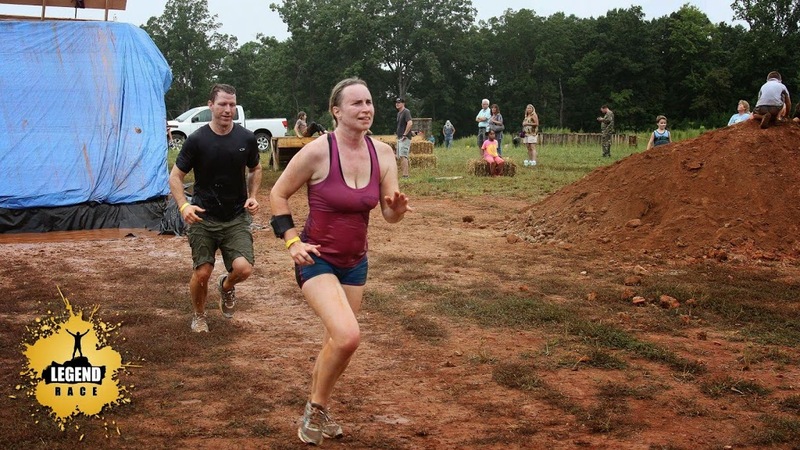 I can&#39;t imagine doing a mud run. It does look like fun though! Thanks for sharing on #throwbackthursdaylinkup! It was a challenge, Tanya. It was a good feeling when I crossed the finish line. Great job, love that you paused to flex your muscles for the picture. Great shot 🙂 <br /><br />I don&#39;t think I&#39;d be able to accomplish the obstacles, but it sure looks like fun to watch! Thanks for linking up with #ThrowbackThursdayLinkup my friend, and hope you link up again this week! Mine is tomorrow! This tips are great and going to go carb load now!! Will let you know how it goes and thanks for this post. I’m glad you found these tips helpful. I can’t wait to hear about your run, and maybe you can add a few of your tips.